Flavour is one of my key benefits of juicing fruits. It is so easy to get a delicious fruit juice flavour. In fact I can’t think of a single occasion when I’ve made a fruit juice that didn’t taste good. Fruit juicing combinations are far easier to come up with then vegetable juicing as some vegetables such as celery, spinach, beetroot etc have to be added in delicate amounts because of their strong flavours. I couldn’t believe it when I first juiced Granny Smiths apples, the juice came out the exact colour of the fruit. I’d never seen anything like it the juice was bright green. I had been used to drinking a beige coloured liquid from a carton that resembled nothing like an apple. These bright colours are particularly helpful if you are trying to encourage your kids to get into juicing, as they look so appealing. A benefit of juicing fruits with kids is fruit juice is naturally sweeter so a lot more suited to young palettes. This is a good place to start when introducing them to juicing. Let’s face it anything that encorages children to eat more fruit is a benefit. If you have fresh fruit growing in your garden you’ll be only too aware that in some months of the year you are overwhelmed with a particular fruit. Juicing fruit means that you can find yet another way of using everything that’s available to you. Another great benefit of juicing fruits is that many types of fruit can be frozen then juiced a later date without loosing any of their natural nutrients. Some fruit such as berries can be easily frozen on the day of picking and then used later on in the year when there is a lot less choice available to you. Freezing fruits before juicing allows you to retain the vitamins and minerals within them. Like vegetable juicing the benefits of juicing fruits is the amount of nutrients, vitamins and minerals you will absorb. These vitamins and minerals are essential to keeping us all fit and healthy. They help to keep are skin and hair glowing but go deeper than that helping us to fight disease and illness. As a general rule it is best to have as wide a variety of fruit juices as possible so that you are opening up the opportunity to as many different vitamins and minerals as possible. However if you have a particular aliment or health problem then a certain fruit may have the right immune boosting nutrient you need. 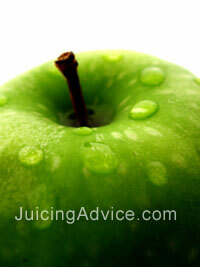 It is always best to seek medical advice when using juicing alongside regular medical treatments. 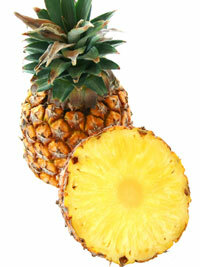 Juicing fruits is also a great way to get creative and that’s not only in your recipe combinations. You can freeze individual berries in an ice cube tray topped with water to add to your juice. Drizzle fruit puree down the side of a glass to make the drink look even more attractive. Play with layering coloured juices and decorate the rim of the glass with fresh fruit such as strawberries. The possibilities are endless and your never going to get bored of drinking them as you can continually find new recipes and fruit combinations.